"I can understand why you felt that you had to republish this book, and I wish you well with it. I will certainly recommend it to my clients. Please let me know when it is in stock." "People who have come up with something new and want to try to capitalize on it will learn much from this book and its many heroes." Heroes? Men and women whose names you don't even recognize? Independent inventors who not only had great ideas but the ambition and stamina to do whatever was necessary to break through the barriers and make millions from the exercise of their minds. This book shows by scores of real examples not only that it can be done but how it was done. And yet you won't find the magic formula in these pages either. The book's heroes show that all the “hows” were different - each peculiar to the invention and the mind and circumstances of the inventor behind it. There are, of course, some common themes--and Alan Tripp's keen analysis of the core moves for innovation success are what make this book unique and totally real. The stories come from being in the game himself (independently and with Product Resources International); stories that stem from first-hand experience with fellow businesspeople--laced with occasional verified stories from secondary sources that clearly illustrate a point. 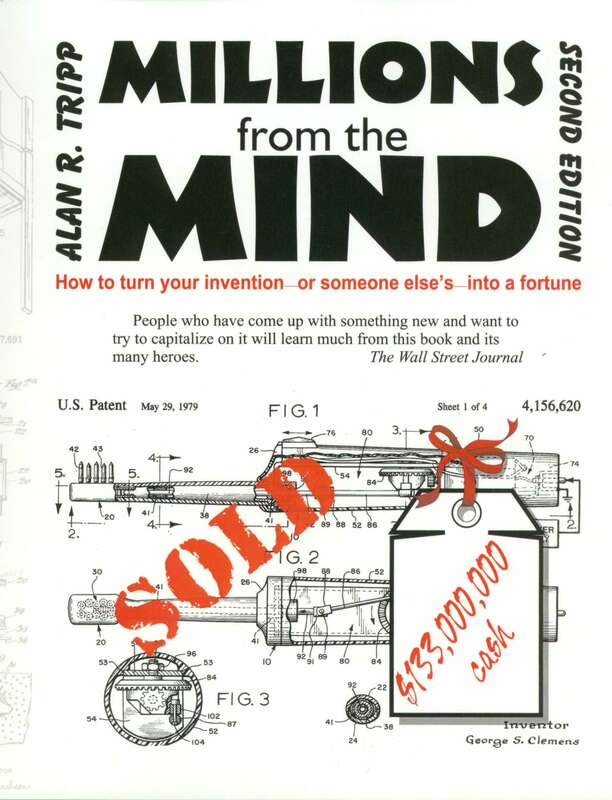 All points, however, will lead you to only one conclusion: inspired by the stories herein, you too can do what it takes to be a successful inventor--to generate Millions from the Mind. 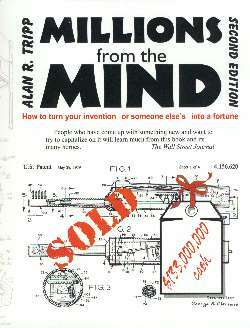 This book is also a great companion book to the Will It Sell?... book which dives much deeper into the nitty-gritty-get-your-hands-dirty-by-using-these-resources-this-way effort required.